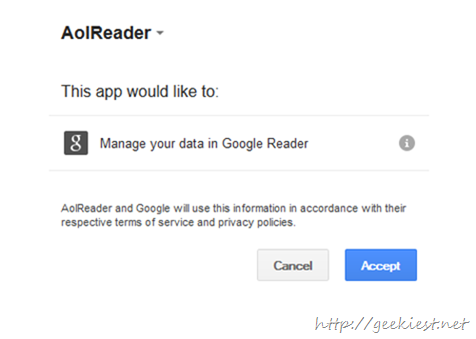 AOL reader is in beta stage and they have added feature to export the feeds directly from your Google Reader account. 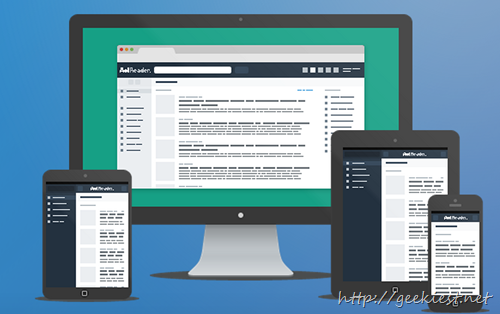 I just imported my feeds from Google Reader to AOL Reader and it worked almost fine. Some of the feeds are not displaying and the name says “title unknown”. 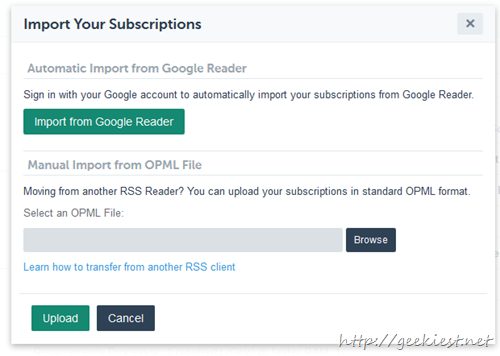 Hopefully they will fix it before Google Reader goes down on July 1 , 2013.